What university department today could house Athanasius Kircher, whose treatise on Noah’s Ark followed dozens of others on optics, astronomy, China, magnetism, hieroglyphics, geology, music, and plague? Yet Kircher’s scholarly profile—that of the polymath rather than the specialist—marked him as fairly typical product of his age. In the 17th century, leading scholars pursued research programs of encyclopedic ambition. For Kircher and his peers the very word encyclopædia [ἐγκυκλοπαιδεία] bespoke the circularity and interconnectedness of all knowledge: arcanis nodis liguntur mundus, says Kircher, “the world is bound by secret knots.” Thus his treatises imbued individual phenomena with cosmic significance by integrating them into a universal order. Kircher’s books did not simply convey this epistemological “point” through textual argument. They also served up a visual feast: crude woodcuts, type faces in "exotic" languages, complex musical scores, elaborate fold-out engravings. Here, Baroque taste for marvelous curiosities was pushed to its 17th-century limits: the more varied and paradoxical the marvels, the more wondrous the Divine Order connecting them. Crowded images at the head of Kircher’s treatises gave readers a framework to synthesize the verdant detail that followed. In Kircher’s Universal Music-Making (1650), for instance, music as sounding number pervades the Divine, Cosmic, and Mundane realms. 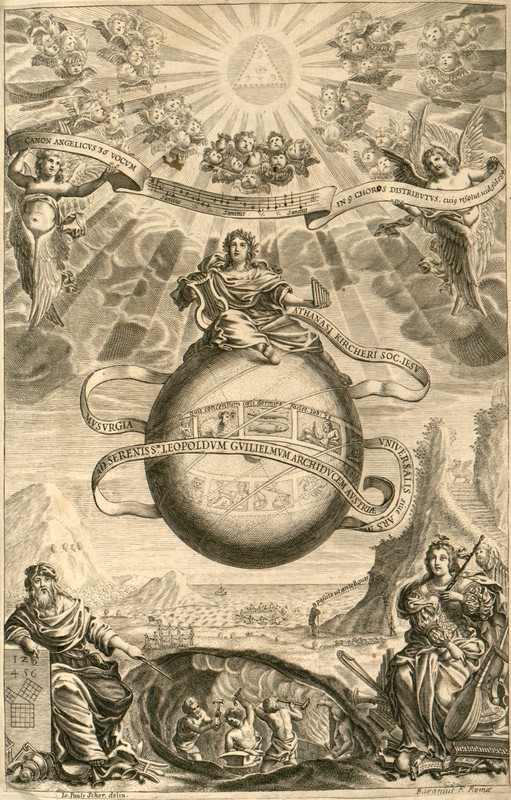 Kircher’s frontispiece (engraved by Johann Paul Schor) helped the 17th-century reader follow the threads that bound European songbirds, a South-American Sloth, a Chinese Confucian incantation, Carissimi’s chromatic cantatas, musical automata, and (possibly) even the motion of celestial bodies. Universal Music-Making rested upon historiographical foundations laid bare in Noah’s Ark (1675) and The Tower of Babel (1679): that all nature and culture could be accounted for within a single historical arc that began with the Book of Genesis. 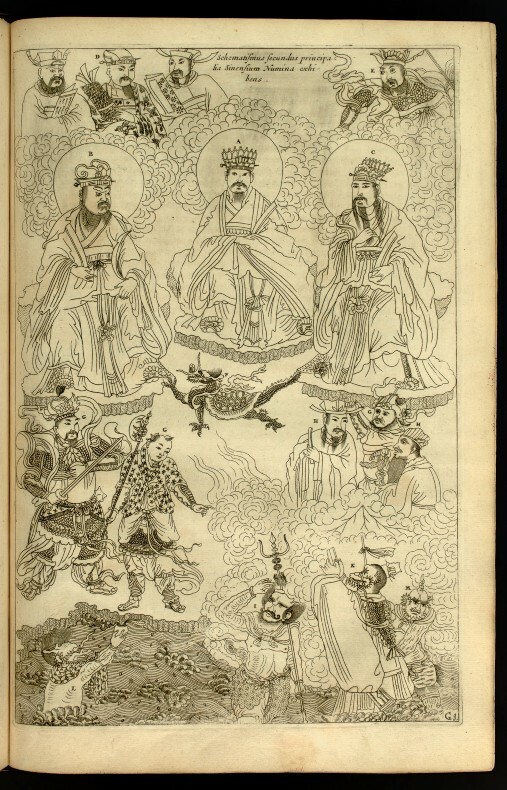 Thus “secret knots” were to be discerned even between the artifacts that appeared most unfamiliar to Kircher’s European readers, such as those presented in China Depicted (1667). But no author can control readers. One might be dazzled by Kircher’s marvels without necessarily accepting his unified vision. The Encyclopédistes of 18th-century France not only drew liberally upon Kircherian data; they also claimed intellectual superiority, mocking Kircher and his contemporaries as credulous and misguided. Seventeenth-century polymaths, in presenting the details of the Universal Order, unwittingly provided evidence to support very different conclusions.